I learned so much about wine today from Etna Wine School’s Benjamin Spencer. Together we visited Vivera Winery on Etna, where the founder’s son Eugenio gave us a tour and explained their wine-making process. Eugenio was a wonderful host. 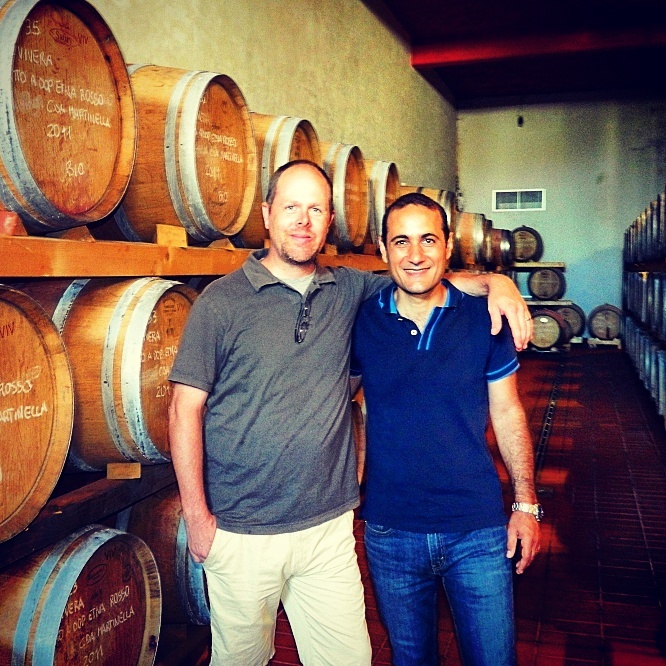 Benjamin was a joy to meet… Wine is poetry! More about this fabulous day in the future. Now it’s time for me to do my homework: I’ve got to study session with glass of Etna Rosso.